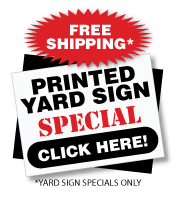 Best selling plastic yard sign designs in an easy to order kit. Choose from several ready made designs or upload your own. •24" x 18" corrugated plastic yard signs, 4mm thick (approximately 3/16'') - Thicker then the competitions political signs. Sign Stakes Included. Yard signs direct from the manufacturer. Corrugated Yard Signs with Stakes included. Free Sign Proof with every order. Our professional graphic designers will make your sign look good. Let us build a sign for you. Need a different size sign? Don't need sign stands? Click here for À La Carte Yard Sign Pricing. Looking for poster board signs? Click her for Poster Board One Click Kit Pricing. 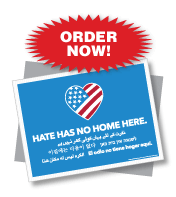 Our most popular political sign designs in an easy to order kit. Choose from ready made political yard sign designs. 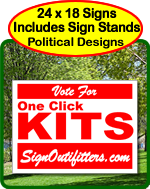 Campaign Signs One Click Kit Includes: 24" x 18" election signs and sign frames. The more political signs you buy the cheaper they get. 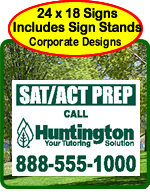 Effective cheap yard sign designs for most applications. These simple designs get your message out. 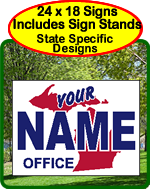 Easy to read basic layouts, our most popular lawn sign designs. "Keep It Simple" really works. In yard signs minimal copy is often more effective. Bandit signs in an easy to order kit. 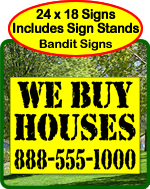 One Click Kit bandit sign and we buy houses sign pricing includes: 24"x18" corrugated plastic yard signs, 4mm thick (approximately 3/16'') - Thicker then the competition. Free sign frames (Sign Stakes) included. 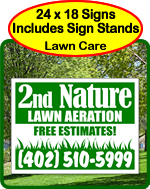 Lawn Care Signs and Lawn Maintenance Signs. 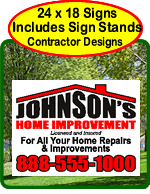 Choose or modify one of our yard sign design ideas. 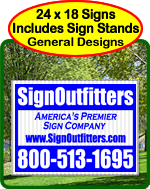 One Click Kits include 24x18 inch coroplast yard signs and sign stakes. Low minimum order - easy to buy online. Upload your yard sign design. Whether you are looking for Plumbing, Construction, Roofing, Handymen, Contractor Yard Signs, order signs and get stakes with them. Advertise your company at all your job sites and generate more business. Don't be left behind. Let people know who you are. Advertise sales, rentals or leases of houses, buildings or lands you have. Get your real estate signs today. Now order signs with a the stands included. 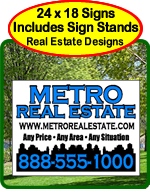 Show people what properties you are selling with an attractive 24'' x 18'' Yard Sign. 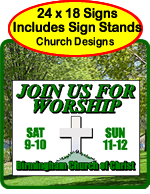 Buy your church yard signs today. Signs come with the stands included. Let people know when you are holding your parish festival, or when you might be hosting vacation bible school. These cheap signs can also help get word out about your church. Gearing up for Tax Season? Make people aware of your services. 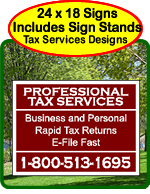 Tax service signs 24'' x 18'' and free stakes. Let customers know about your professional tax services or advertise your company. Tax sign designs in and easy to order kit. Stands included. Corporate yard sign designs. Popular company signs in an easy to order kit. 24'' x 18'' signs plus the sign stands. Insert your information with your companies design or upload your own. Low minimum order - easy to buy online. Choose a political design specifically for your state. 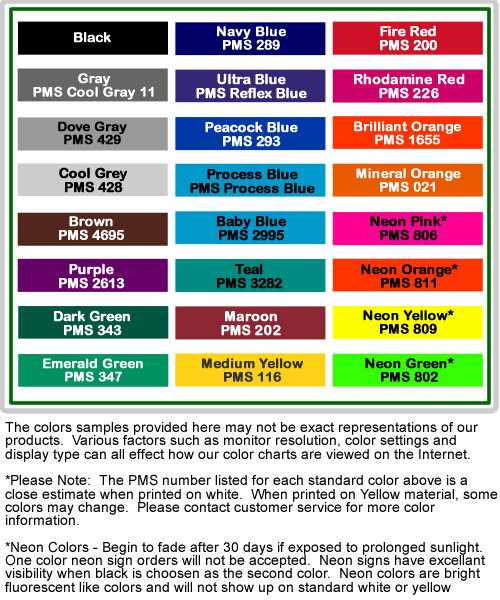 Designs include your state outline and are two color. Two color 24" x 18" political yard signs include sign frames.